What Does Time Travel In Doctor Strange Mean For The MCU? It's looking more and more likely that Marvel will go timey-wimey. I have something to confess: I've not been all that amped for Doctor Strange. No, don't click away. This isn't one of those "this is Marvel's biggest gamble" articles that prophesies a sudden fall from grace of the Hollywood Kings based on superfluous reasonings; I think, given their DC-fan-aggravating track record, it's fair to say their biggest chance of actual failure is behind them (it's one of instigator Iron Man, high-concept The Avengers or out-there Guardians Of The Galaxy). The problem is, while I'm sure Doctor Strange will be a hit - the brand name along is a guarantee of that - it's the least excited I've been for a Marvel film less than a month before release since Thor: The Dark World. 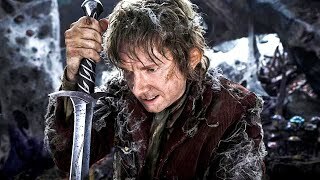 And it's not just because the spot-on casting of Benedict Cumberbatch has lost its allure now his mass-expansion bubble has slowed, nor that director Scott Derrickson's filmography is rather patchy. And it's definitely not because introducing magic is a hard job for the MCU (it's really not, especially as Thor is basically magic anyway, and people are only saying it could be an issue because nobody really knows Doctor Strange well enough to say anything else). The problem is that the marketing just hasn't convinced me this is something worth getting excited about. The first trailer was solid enough, and the Nolan inflections made it stand out from the crowd, but nothing's really upped the ante, and things have only got more generic as we've gone on. The latest raft of TV spots in particular have left me cold with a confusion of tone making it totally unclear what movie they're actually selling; at one point this is mystical Nolan riff, the next it's cracking so many jokes even Joss Whedon would wince. Well, Marvel's just released one that certainly changes the pace. Coming from the same school of trailer editing that gave us the "ant-sized" trailer tease, it's ostensibly a spot put in reverse, with the action and sound rewinding, the title card at the start and studio logo at the end. It's cool, different and gives a campaign that so far has coasted on the studio's name a real sense of identity. Beyond that though, it brings something new. Actually, seriously, new: time travel. It's of course all inference at this point, but it's not difficult to take this trailer as key evidence Stephen Strange will be going all timey-wimey, at the very least stepping backwards in his own timeline a little bit. Now this is a major step forward for Marvel, expanding the type of stories they can tell, allowing them to explicitly play in characters' pasts and making those incessant death fake-outs feel a bit more logical. As long as they don't start using it rampantly and creating all manner of plot holes, this could make the post-Strange MCU rather exciting. The reveal doesn't just mean a key comic element is making the leap to the big screen, however. 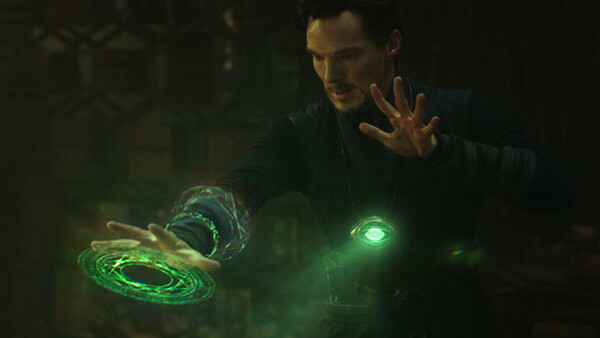 Despite being so different to the rest of the world as established, the prospect of time travel actually links Strange to what's going on with The Avengers; this would further imply that the Sorcerer Supreme's Orb of Agamotto is actually one of the all-powerful Infinity Stones, specifically the Time Stone, which will be brought together by Thanos for his all-powerful mega-macguffin the Infinity Gauntlet in Avengers: Infinity War. This is something many have expected for a while, especially as Strange's necklace ornament has begun glowing green more and more with each new promo image revealed, but the presence of time manipulation makes that feel like more of a certainty. 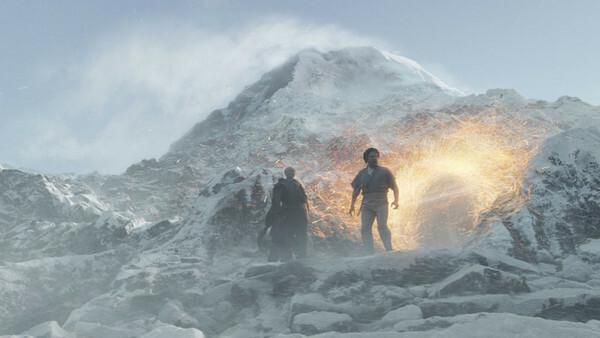 And the theorising just snowballs from there: Stephen Strange will be a target of Thanos in Infinity War (possibly meaning the film will follow the comic more faithfully than we're used to - he's is the first character we're introduced to in the comic), while the final stone will come in either that film or Thor: Ragnarok. For now though, this is all speculation. What I can say is that Doctor Strange has just has its first knock-out trailer and I am officially excited. Roll on October 25 (November 4 for you in the US). What do you make of time travel in Doctor Strange? Share your take down in the comments.